You can visit another topic of CBSE Class 3 Maths click below…. For Multiplication and division worksheets, click here Class 3 Maths Worksheets. 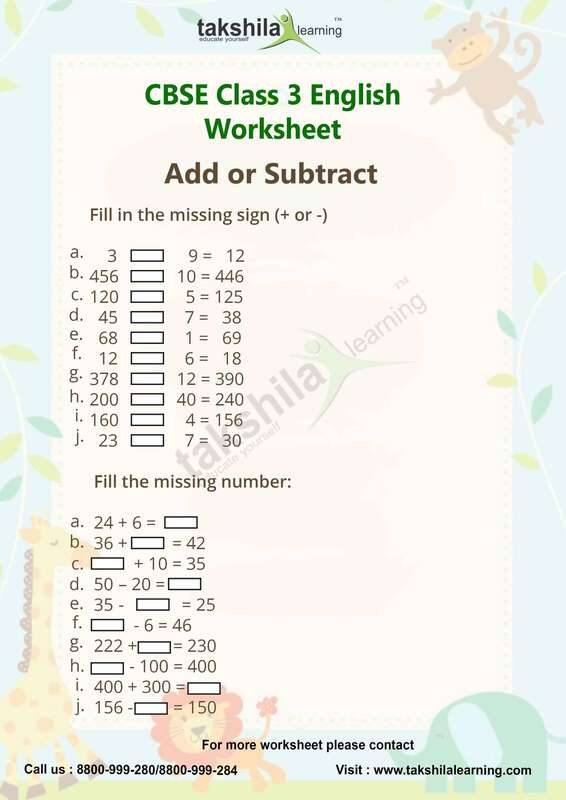 For worksheets for Class 1 to 5th, register with Takshila Learning. Takshila Learning offers animated videos for better understanding and learning of your ward. Animated videos develop the interest of the kid, as they can see what they want to learn. Visualization helps to learn easily and long-lasting impact on the mind. The entire content and worksheets are designed on the basis of CBSE Class 3rd exam pattern. For demos CBSE Class 3 and for other classes, log in with Takshila Learning.